Recently when I shared my value earnings on my Facebook timeline. A lot of friends have bugged me with messages on how they can get a good PayPal Account so they can get prepared to easily cash out from Value platform and other paying websites. In short, PayPal is just a faster, safer way to send money, make an online payment, and receive money online. The first thing I’d want you to know is that anyone in Nigeria can actually open a PayPal Account. But the only problem you will have with that account is that you can only use it to pay bills. In other words, you can only use it to spend online. You can’t use a Nigeria PayPal Account to collect payment from online platforms or to receive earnings from your clients or to receive money from your friends, families and loved ones abroad. Some of us you see selling and buying PayPal funds actually have our PayPal accounts set up in other country’s names. Majority of such countries are USA, UK, UAE and South Africa. 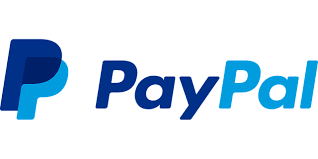 If you have a duly opened PayPal Account from any of this country, then you will be able to make payment with your PayPal Account and as well receive earnings with it from any websites in the world or even as a freelancer on popular website such as Fiverr. One major challenge you might have when using any of this country’s PayPal Account is that, you can easily get your funds seized and at the end you might lose it. Even if it’s as small as $20 or as huge as $20,000. You lose all even after limiting you for over 180days. One thing I can guarantee you is that, the account will get limited and later on closed down your account simply because it was not properly created and not carefully maintained. The next question that may come to your mind now should be, How then can I get a good and verified PayPal Account? Simple! Even me too I don’t know how to create one. But with the help of one of my trusted friend online who created mine for me months back, I’ve been using my own PayPal Account for over 4months now without any problem. I can easily send and receive cash from anyone and anywhere. • I can easily collect my earnings from Fiverr and other freelance website. • I can easily key into any foreign websites like Valuedvoice, content.ad, seo clerk and other online programs to collect earnings easily. The fact is, I have rest of mind operating my PayPal Account and I just wonder why people still keep crying that their PayPal account has been limited and closed. Everyone knows that getting jobs online or getting customers to hire you is very difficult. It takes lots of effort to do promotion before getting sales. Why then should getting paid be difficult? I love to see everyone have faster way to online success and that’s why I will be recommending my friend to you to help you open a verified PayPal Account for you. • You will be given a special and dedicated number only just for you. • You will get instant bonuses to help you start making little dollars online even if you have never earned any money online before. • You will also get to see how he will even pay you a token without working yourself out. I personally have enjoyed this. • That’s not all. If you order within the next 48hours, you will also get a Free USA MasterCard [Payoneer] delivered to your location for FREE. I was skeptical at first when I wanted to order for a PayPal Account from my friend because I had fallen to the hands of rogues online before and I never wanted a fake service. But what first won me was his 100% Money Back Guaranteed and aside that, his feedback before and after I got my PayPal Account has been beyond measure. • You MUST never risk losing your hard earned money to PayPal again. Never! • You don't need to stare away that paying internet business/program due to PayPal problems. NO, NOT AGAIN! • You don't need all those unnecessary do's and don'ts the so called gurus sing about that have never helped matters. Don’t let your money get stranded anymore, click here to order for your PayPal Account from my friend now. As for me, PayPal, has been the smart choice for my growing business. Before you make payment, ensure you contact him and tell him you were referred by me. You will get great discount when you just tell him “Matthias referred your PayPal Service to me”. You will also get a special link to make your payment and submit your details so he can start processing your account. I think right now he creates each account for N10,000. But when you just tell him I referred you, you get a whooping discount. Once you have made your payment, just send your payment receipt to me. I will also send you an instant package I’ve been silently rocking. Enough of the cry! It’s time to grow your business. Click here to get your PayPal Account now.